Every golfer has topped the ball at some point in their lives. It's embarrassing, but at least the ball moves forward. 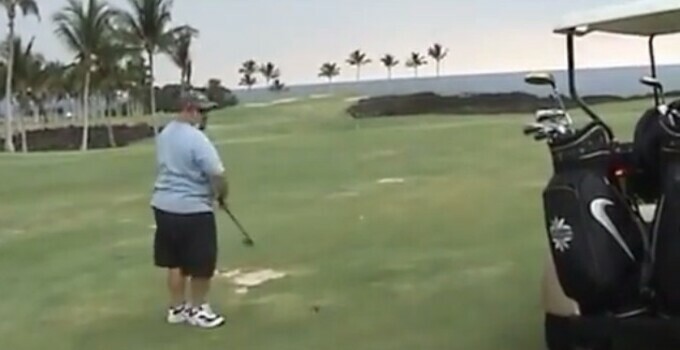 For this golfer, the ball did go forward...at first. This guy tops the ball forward an inch or two and into the ground with enough spin that the ball flies up in the air. Then, as the golfer is looking for where the ball went, the ball hits him on the back of the head. The worst part of all of this -- other than the obvious humiliation of this video finding its way to the internet -- is that the guy had to count a penalty for hitting himself with the golf ball.